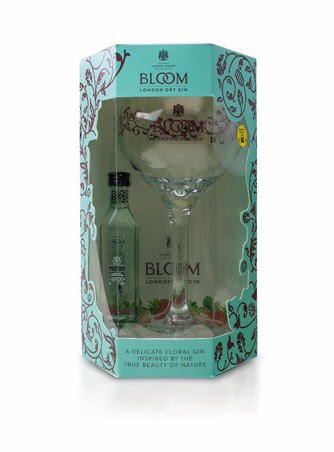 BLOOM Gin has an individual gift for Valentine's Day: a beautiful cocktail glass and a miniature bottle of BLOOM gin! Pour 50ml BLOOM London Dry Gin and 200ml of tonic water into the beautiful BLOOM glass filled with ice and garnish with quartered strawberries. 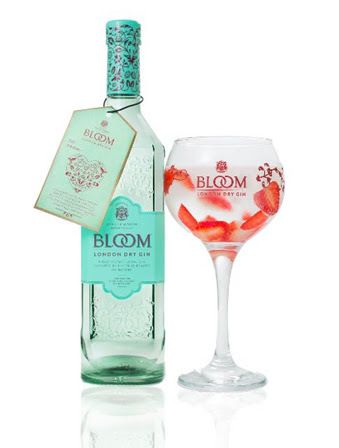 BLOOM Gin's beautiful bottle and delicious floral flavour appeals to non-gin drinkers and gin aficionados alike. It is distilled by one of the world's few female Master Distillers, Joanne Moore, who chose the flowers of chamomile and honeysuckle, with the citrus fruit pomelo to make up the three main botanicals for BLOOM.